Those who bring good news have beautiful feet. Paul suggests that the Christian soldier should have his feet shod with the “preparation of the Gospel that brings peace.” It’s always good news of great joy when we hear that a war, strife, a contention has been settled, and peace has been once again established. The message of the Gospel is indeed a message of peace. It brings peace in three dimensions. It gives us peace with God. It gives us peace with ourselves, and it gives us peace with others. Some suggest it is peace above, peace within, and peace without. 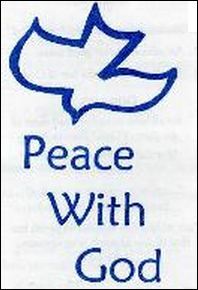 Each of every one of the kinds of peace is good news for those who are at war with God, themselves, or with others.